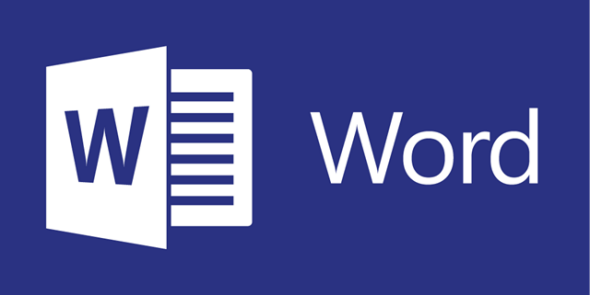 Microsoft Word’s grammar and style tools will make your writing worse. Did you mean “Microsoft’s Words”? Microsoft Word is all too easy to hate. As one of my colleagues at Slate put it in a recent conversation, the venerable program’s ubiquity makes it a bit like the cable company of the software world: You learn to loathe it precisely because you spend so much time interacting with it. And though it does many things right—track changes has only gotten better over the years, for example—a few of its most prominent qualities remain maddening, none more so than its grammar and style check features. I use the word “features” here in the loosest possible sense. When I think of the way Word marks up writing, I sometimes imagine a drunk composition professor rushing to grade a stack of papers late at night, alternately sobbing and steaming with anger. These “corrections” create problems of their own, products of slavish rule-following that rarely reflect the practical realities of real language or the challenges it presents. Microsoft, for what it’s worth, would probably object to this characterization. In an FAQ about Word’s grammar proofing, the company claims the tool “performs a comprehensive and accurate analysis … of the submitted text, instead of just using a series of heuristics (or pattern matching) to flag errors.” In other words, it’s saying that Word doesn’t just check whether a sentence violates a set of rules, it evaluates how the sentence works. That would be terrific if it were true. Alas, it is not. There are several problems with this revision. In practice, we encourage writers to avoid the passive voice because it obscures agency, making it difficult to determine who is doing what to whom. In some cases, however, that can be a good thing, most of all when you want to emphasize the grammatical object of a sentence rather than its subject. In this case, where “the Kingdom” seems to be the most important detail, such an inversion might be appropriate. Even if it isn’t, though, the revised sentence still scans poorly, since the now-active verb (“created”) is separated from the subject by a 13-word clause. Accordingly, the new phrasing remains difficult to follow, making the alteration dubiously useful at best. I understand the underlying impetus here. More often than not, “actually” is a linguistic crutch, deployed to introduce emphasis where none is needed. As a rule, it’s a word best used sparingly, if at all. To the extent that Word calls attention to our potential overuse, it may actually be helpful. Good writing is conscientious writing and such notifications may make us more mindful. (Even now, I find myself wondering whether I needed it in that earlier sentence.) But Word’s obsessive focus on strict standards leads me to doubt my prose far more frequently than it helps me to engage with and improve on it. 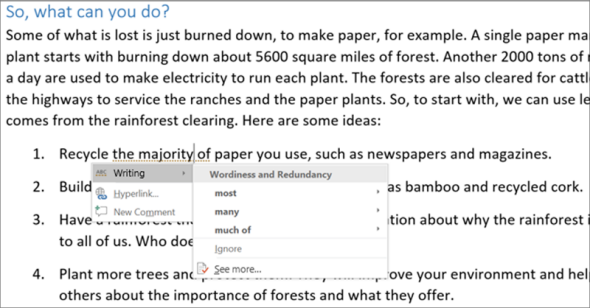 Ultimately, it comes down to this: Microsoft’s grammar and style tools aren’t helping writers understand their work, just arbitrarily imposing anemic pedantry on them. Having spent years teaching college-level writing courses, I understand the challenge that Microsoft faces all too well. Students often glom on to the wrong lessons, treating rules of thumb as if they were absolute dictates. Word’s approach seems to be the product of such lessons-gone-wrong. It gives you exactly the sort of advice you’d expect to get if you had a group of software developers analyze your writing. They would, I suspect, confuse well-crafted prose with half-remembered advice from a single session with a writing coach, leading to impose baroque standards on it, much as Word does. There’s a simple solution, of course: Turn the damn thing off. On reflection, though, the real question is why Microsoft turned it on in the first place.